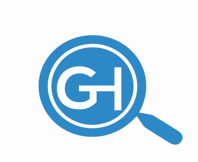 ​GlassHouse Research is made up of forensic accountants/analysts that have worked for prominent hedge funds on Wall Street as well as boutique forensic accounting firms. Our purpose is to expose fraudulent companies that have been taking advantage of US GAAP as well as IFRS accounting for their benefit. We seek to find companies where GAAP (or even worse non-GAAP) earnings are deviating from true economic earnings of the target firm. Overall, we search for a “culture of fraud” within public companies.